In this interview, the Professor of Marketing reveals the latest marketing trends, and why specialty coffee is his next research focus. Simon Bell is the Professor of Marketing at the University of Melbourne, where he began his career as a 23 year old PhD student. After working at the University of Cambridge in the UK for six years, Simon returned to the Faculty in 2008. With more than 20 years' experience in marketing under his hat, we caught up with Simon to find out what the major shifts have been in the field and what areas of marketing he is most excited about. You've been in the field of marketing for more than 20 years… What are the major evolutions you’ve seen in marketing in the last two decades? Over the 23 years I’ve been in the discipline, I think the biggest one for me is the maturing of marketing as a stronger part in business. We’ve transcended what I call the ‘balloons and coffee cups’ view of marketing. We now have chief marketing officers (CMOs) and even chief customer experience officers. We’re seeing the orientation of more and more firms around the customer. Although there are still lots of businesses that are running with a sales mentality, or a product push mentality - the ‘build it and they’ll come’ kind of approach. But that is being challenged now by businesses that are being founded and managed on having a customer focus. I also think marketers have been a little bit braver in the last 20 years or so, reaching into other areas of the firm that weren’t previously their domain, such as research and development and product innovation, as well as having a voice in strategy formation and operational issues. 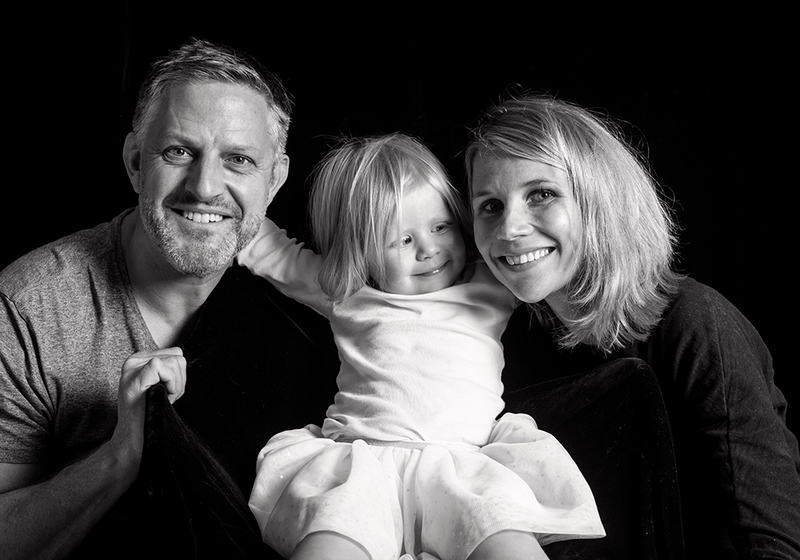 Simon Bell with his wife Fleur and daughter Rosie. In short, I think that marketing as a discipline now has a more legitimate claim to a seat around the board room table. You have done some interesting research into how customers respond to being educated about financial products – can you tell us about this? If we think that it’s reasonable for Richard Branson to claim that putting the customer first leads ultimately down the track to return - then why aren’t we doing everything that we can to engage customers on a meaningful level? My research colleagues and I saw in some earlier research that we did in customer education – that if you help customers to become better customers – better at consuming, better at making decisions about products of interest to them – that the firm benefits from that. This is contrary to the dominant lay theory at the time, which was to keep customers in the dark, because the less they know, the less able they will be to switch to a competitor – and the more dependent they will be on you as a provider. The act of educating itself is value creating for customers. We did some research with Goldman Sachs and found that effect to be quite strong - the customer-keeping benefits of educating customers trumped the customer-switching effect that might logically follow an increase in customer expertise. We did a follow up study with a retail bank in Austria and ran a number of experiments, and findings there were a little more mixed. The customer-keeping benefits were more balanced with the customer-losing costs. Customers, it appeared, were more confident in switching when the firm educated them. But what we found was that if education was more specifically tailored to the services the bank offered, rather than the market in general, then the customer-keeping effects were stronger. What we’ve shown is it’s not unequivocally a bad thing to educate customers - it can be a good thing to skill them up, equip them to cope with challenges in consuming products and making decisions in complicated markets, like banking and Telcos. I hear you are doing some research on the specialty coffee industry – what stage are you up to with this? A few years ago, I realised I had spent the first two decades of my career doing research on very sensible industries like financial services and retailing. I’d never crafted research around an industry I was really passionate about. When an opportunity came up to travel with my wife [founder and owner of Market Lane Coffee] to a conference about specialty coffee in Oslo five years ago, I thought why not use this opportunity to speak to stakeholders in the specialty coffee industry to see what’s going on. What I stumbled upon is a really interesting problem – an idea that commodity coffee has one of the more depressing supply chains - there’s poverty, exploitation and so on, and yet it is a product that most of us consume daily and it’s the second most valuable traded commodity behind oil in the world. What I saw in the specialty coffee industry was people trying to make an impact on the supply chain to do things a little bit differently. With commodity coffee, there isn’t any incentive for farmers to cultivate their coffee trees or plantations carefully because all of it gets pooled into big hoppers full of other farmers’ coffee. So there was an institution developed called ‘the Cup of Excellence’, formed by specialty coffee pioneers in the US, going to a number of countries like Guatemala and El Salvador - and they conduct a competition where farmers bring their coffee, the coffees are cupped by expert judges according to a pre-established set of metrics, and they’re awarded a point score out of 100. On the basis of the point score they are then auctioned to the highest bidder. These lots of coffee can sometimes be sold for three to 10 times the commodity price. So farmers now, on the back of this Cup of Excellence initiative, start to do really, really well, and you start to see roasters go all the way up the supply chain to talk to farmers. You’re seeing a connectedness now from farm to cup, that’s never been there before. So far I’ve done 25 interviews with stakeholders in the specialty coffee industry - farmers, roasters, mill owners, chambers of commerce, baristas and café owners all around the world. One thing that is interesting is the Cup of Excellence is a peculiar institution in that if they do their job well, they will no longer be needed. They come in and create this competition and auction system and then they leave - but what they leave behind is an ethos of quality that remains and farmers then can claim for many years that they were a Cup of Excellence winner. I’m partnering on this project with a professor from Queens University in Canada and a professor at Cambridge. We’re starting to analyse the data to make a theoretical and practical contribution. So what makes a good marketer? First and foremost, a good marketer cares about customers. They care about creating customer value. If you’re creating value for customers, you’re already on the right path. If what gets you out of bed in the morning is the desire to create value for customers, then you’re a marketer. If you get that right then everything else falls into place – your communications strategy makes sense, or your product development road map will be aligned, or your overall business strategy, will again, make sense. Aside from marketing, what are your main passions in life? 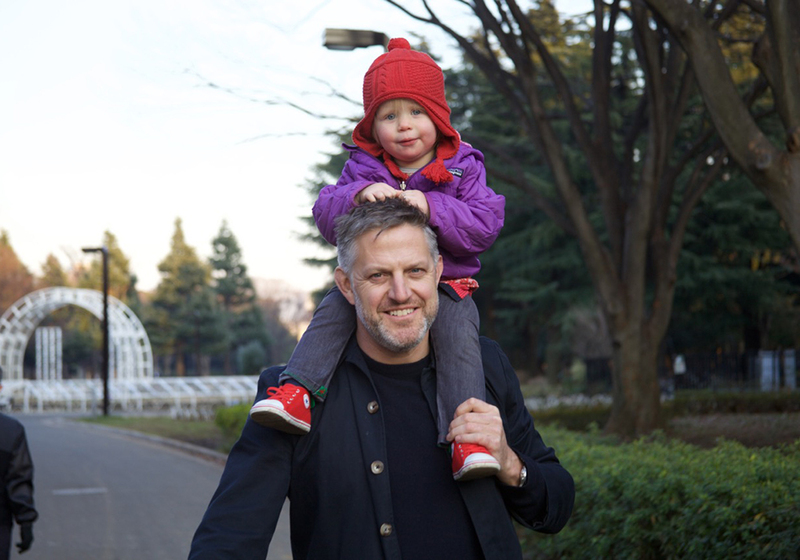 At the moment I’ve got to say my focus is on family and having two young kids – a three year old and a four month old – this has been a life-changing thing for me. It’s re-framed completely the way I see the world. Obviously having a four month old baby occupies a lot of my time. So for me, that’s been a huge thing. Another interest would be seeing the world, playing sport, keeping fit, playing golf, working on my handicap and so on – those are the sorts of things that excite me as well. Read Simon Bell and his colleagues' research paper on Unraveling the customer education paradox. For more information about studying Marketing and Management, see the University of Melbourne website. Partnering with the University of Melbourne’s leading researchers offers your organisation the academic rigour, expertise and authority to influence policy and strategic business decisions.